29 Jul Side hustle: A tax deductible business or a hobby? Is your side hustle a side business or a hobby on the side? If you engage in an unincorporated side hustle — such as a marketing director by day and instagram model* on the nights and weekends — you may think of that side activity as a business and hope to deduct any losses on your personal tax return. But the IRS may disagree and reclassify the money-losing activity as a hobby. The taxpayer was employed as the director of business development for a multimedia company. In 2013, he was paid approximately $240,000, traveled extensively and worked long hours for his employer. The taxpayer also had an interest in film festivals. He noticed that these events were poorly organized and thinly attended. He believed that college towns would be ideal locations for film festivals, because they could be successfully marketed to students and faculty. In 2012, the taxpayer established U.S. College Film Festival (CFF). He was the sole owner of this unincorporated organization. In 2013, CFF put on two film festivals that generated a net loss of roughly $32,000 (about $700 of revenue minus $32,700 in expenses). The IRS disallowed the 2013 loss on the grounds that the activity was a hobby rather than a for-profit business. The taxpayer took his case to the U.S. Tax Court. He showed that CFF’s financial results were improving: In 2014, CFF had about $29,500 of revenue and $63,200 in expenses; in 2015, CFF had a net loss of only about $1,800. Despite these improvements, the court felt there was no profit motive for the activity. While the taxpayer was able to gather records to support CFF’s claimed expenses, he didn’t maintain those records in a businesslike manner. There was no indication that he’d prepared formal budgets, profit projections or breakeven analyses. Although the taxpayer had attended a number of film festivals, he had no experience in organizing or operating them. He also didn’t consult anyone with such experience. The taxpayer had no prior experience managing any kind of small business, so he couldn’t point to previous successes in similar activities. CFF had a significant loss in 2013 and didn’t make a profit in either of the following two years. While the taxpayer was optimistic that CFF would eventually generate profits, it had not yet done so. The taxpayer was gainfully employed full-time in a high-paying job that was his primary source of income. The taxpayer enjoyed organizing, conducting and attending film festivals. He’d also used CFF, at least in part, to showcase a personal film project. Although the taxpayer devoted much of his free time to planning, coordinating and attending CFF’s events in 2013, the court found that the facts of the case justified the IRS position that the film festival activity didn’t have the requisite profit motive. Therefore, the Tax Court concluded that the IRS had properly classified the activity as a hobby and disallowed the loss for 2013. 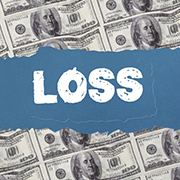 In general, the hobby loss rules aren’t taxpayer friendly. But there’s a ray of hope: If you heed the rules, there’s a good chance you can win the argument and establish that you have a business rather than a hobby. Here’s some guidance, along with a recent example of a taxpayer who ran afoul of the rules. If you operate an unincorporated for-profit business activity that generates a net tax loss for the year (deductible expenses in excess of revenue), you can generally deduct the full amount of the loss on your federal income tax return. That means the loss can be used to offset income from other sources and reduce your federal income tax bill. On the other hand, the tax results are less favorable if your money-losing side activity is classified as a hobby, which essentially means an activity that lacks a profit motive. In that case, you must report all the revenue on your tax return, but your allowable deductions from the activity are limited to that revenue. In other words, you can never have an overall tax loss from an activity that’s treated as a hobby, even if you lose tons of money. Moreover, you must treat the total amount of allowable hobby expenses (limited to income) as a miscellaneous itemized deduction item. That means you get no write-off unless you itemize. Even if you do itemize, the write-off for miscellaneous deduction items is limited to the excess of those items over 2% of your adjusted gross income (AGI). The higher your AGI is, the less you’ll be allowed to deduct. High-income taxpayers can find their allowable hobby activity deductions limited to little or nothing. Finally, if you’re subject to the alternative minimum tax (AMT), your hobby expenses are completely disallowed when calculating your AMT liability. Why is the hobby loss issue an IRS hot button? After applying all of the tax-law restrictions, your money-losing hobby can add to your taxable income. That’s because you must include all the income on your return while your allowable deductions may be close to zero. Now that you understand why hobby status is unfavorable and for-profit business status is helpful, how can you determine whether your money-losing side activity is a hobby or a business? 1. The activity produces positive taxable income (revenues in excess of deductions) for at least three out of every five years. 2. You’re engaged in a horse racing, breeding, training or showing activity, and it produces positive taxable income in two out of every seven years. Taxpayers who can plan ahead to qualify for these safe harbors earn the right to deduct their losses in unprofitable years. You conduct the activity in a business-like manner by keeping good records and searching for profit-making strategies. You have expertise in the activity or hire expert advisors. You’ve been successful in other similar ventures, suggesting that you have business acumen. The assets used in the activity are expected to appreciate in value. (For example, the IRS will almost never claim that owning rental real estate is a hobby even when tax losses are incurred for many years). The U.S. Tax Court will also consider the history and magnitude of income and losses from the activity. In general, occasional large profits hold more weight than more frequent small profits, and losses caused by unusual events or bad luck are more justifiable than ongoing losses that only a hobbyist would be willing to accept. Another consideration is your financial status — if you earn a large income or most of your income from a full-time job or another business you own, an unprofitable side activity is more likely to be considered a hobby. Business losses are fully deductible; hobby losses aren’t. So, taxpayers will prefer to have their side activities classified as businesses. Over the years, the Tax Court has concluded that a number of pleasurable activities could be classified as for-profit businesses rather than hobbies, based on the facts and circumstances of each case. Your tax advisor can help you create documentation to prove that you’re on the right side of this issue. *Beachbody Coach, makeup sales, lip sense, personal trainer, pampered chief, multilevel marketing, babysitter, dog walker, AirBnB host, stylist, dancer, artist, designer, gymnast, athlete, coach, the list can go on and on.